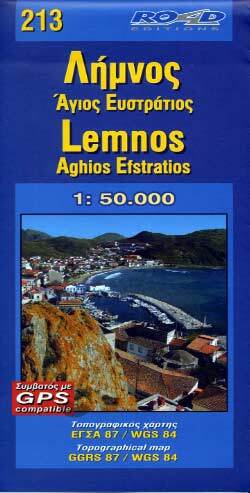 Extremely accurate, detailed and user-friendly, this map of Lemnos has been created by GIS technology for a best accuracy. The complete road network, all villages, beaches, touristic sights and much more, clearly presented. In the the back face of the map you can find rich historical, geographic and tourist information, useful telephones as well as the city map of Myrina.